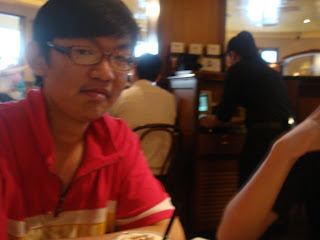 Happy Bday to my daddy!! 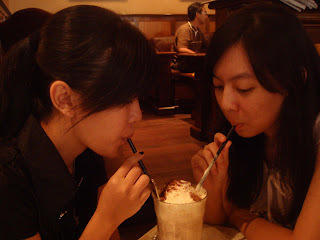 I've been waiting for this day since last year..We've planned this day since last year..Even before SPM we decided this day to try it out..What is so special about this chicken pie?I thought..and the night before,Shi Ning and I talked about how the chicken pie looks like..What makes James and Lee Young so tempted about it? 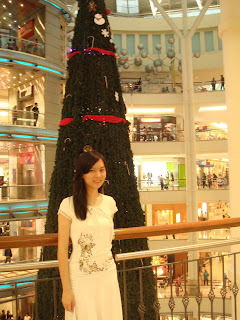 I thought I would reached the lastest..Suprisingly,Lee Young was the LAST to reach! 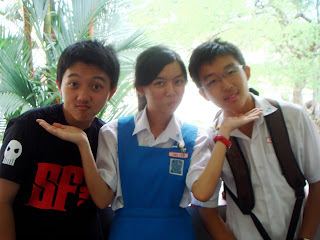 O.o..and then,we all entered that coffee shop..
Me doing sum funny face.. 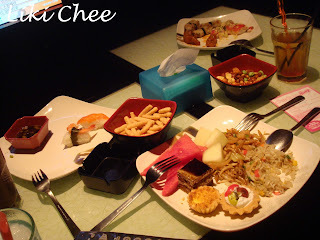 I couldn't describe how wonderful this pie is..simply irresistable..JUS staring at it makes me hungry..AHHHHHH!!!! 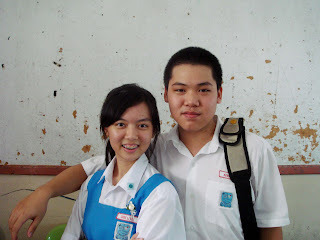 I'm not telling u wat's inside..
Look at Lee Young's face.. 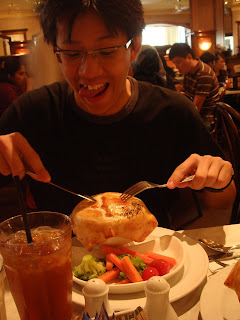 I'm craving for more chicken pie now..I'ma gonna dream abt it tnite...AHHHH!! 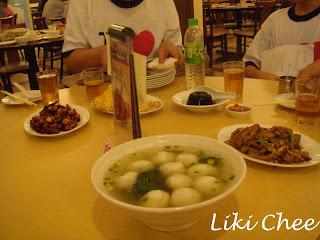 I Love tt CHICKEN PIE~~ I WANT!!!! 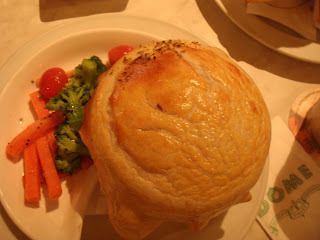 CHICKEN PIE!!!! 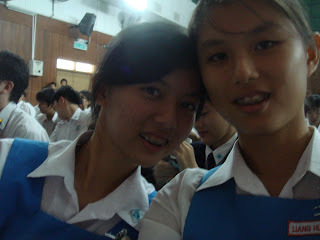 Well,v finished our exam 5minutes earlier than the exact time! 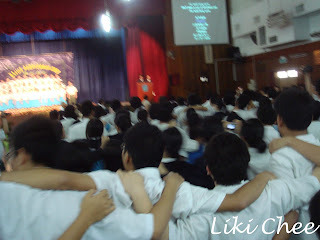 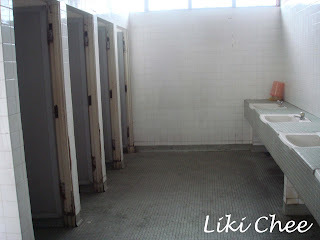 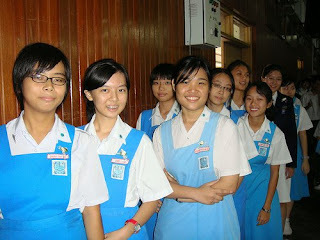 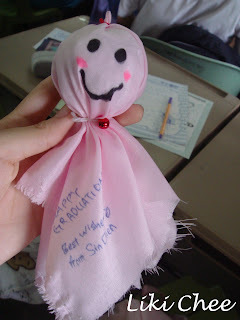 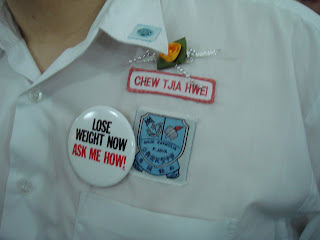 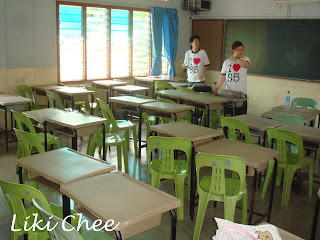 -our class shld know why =)- so v're the 1st in the whole skl to SCREAMMMMM!!!! 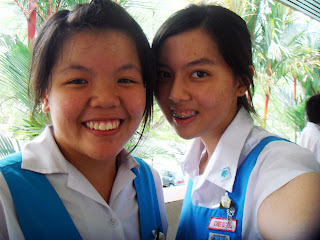 weeeeeeeeeeeeeeeeeeee~ SPM is OVER!! 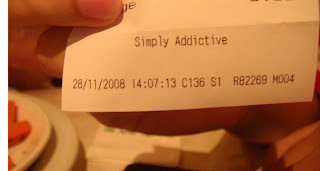 Ooo-Laaaa-Laaa!! 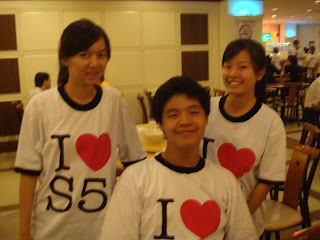 At night,few of us gathered and had steamboat!! 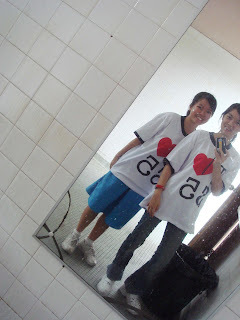 It was FUN!!! 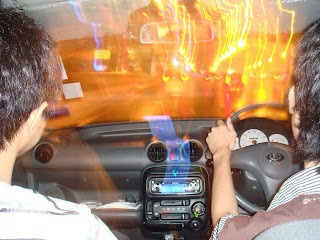 I was late..not bcz of me but the traffic were congested! 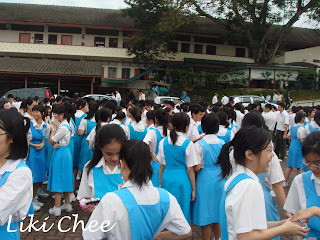 I was stucked in the jam for more than 1hour!..sry..and I'm quite surprised to see 30+ ppl turned up! 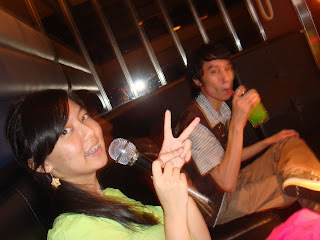 And after tt,my bro and Koon Rui took me to Neway!! 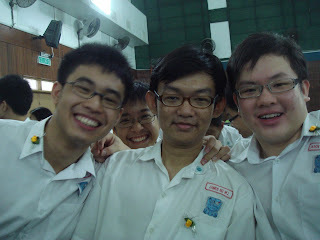 Koon Rui and my bro.. 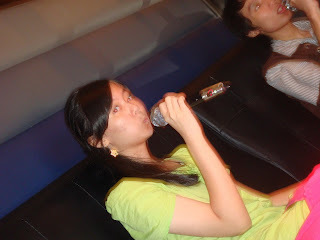 I must be crazy..Non-stop playing!! 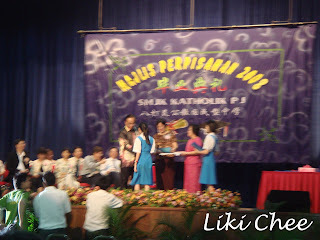 wahaha..but there's one bad news..I got 3rd batch for NS..wat shld I do?Help? 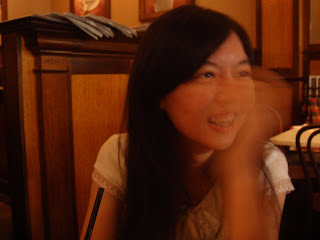 Update abt my day later.. 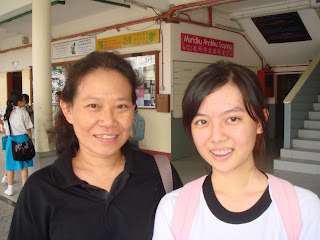 I have whole list of plans..
Lily ajak me to swim later..but I'm a bit lazy to go..One more day to go!! 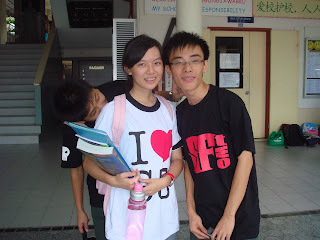 EST here I come!! 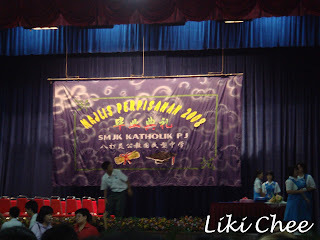 SPM starts on the 11th November..nice number rite?1111 year 2008!I bet evry1 hop on bed early but couldn't sleep..SPM seriously scares me..I couldn't sleep properly everynight no matter how late or how early I am on bed.. 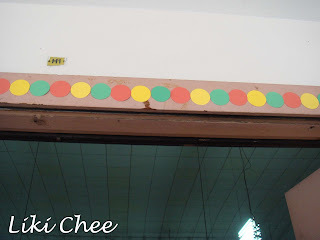 I stil rmb..when I went to skl on the 11th, evry1 was surrounding the office board to check where they sit in exam hall..Probably our skl exam is special..or mayb Lily's skl is special..she took exam in exam hall..I mean REAL exam hall..and we took exam in our class..I took exam in class 5P2..Imagine we take it in Dewan Brother Phillipe Wu..O.o..And I sit bside the window..oh good!! 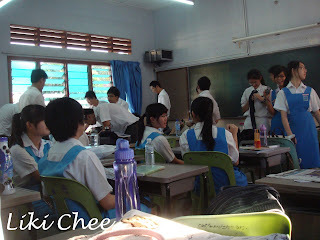 I've been sitting bside window during exam since form1..even during PMR! 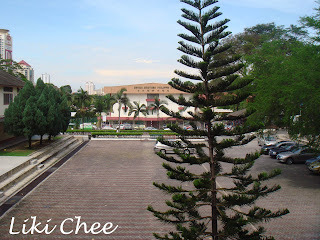 YESH..my feng shui place mayb? 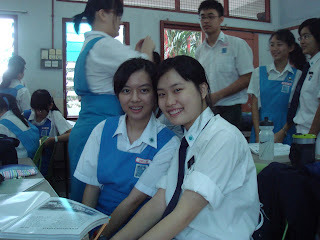 Many silly stuff happened during SPM..SPM can b quite fun ya? 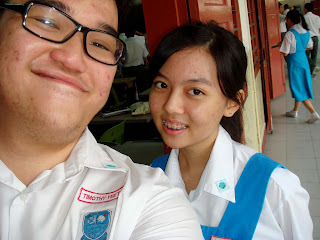 I bet it'll b even more fun without SPM =_=..SPM is causing pimples on my face..panda eyes..backache..sleepy Liki..tired Liki..Oh..I'm tired of SPM..pls end it quick..
School's Out, Memories Past, Don't Ever Doubt, Our Friendship Will Last..
Today is the graduation day..Oh gosh..Time flies..I've already been in CHS for 5 years and now I graduated! 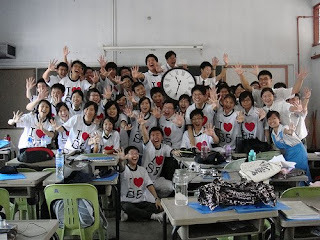 !..sigh..I couldn't sleep the night b4..was thinking abt how life gonna b after graduate..how all my fwens be..will v ever see each othr agn?..sigh..I woke up extra early in da morning..I dun wanna missed anything today..nothing.. 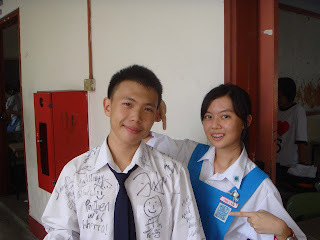 WARNING!It's all pictures and words..If I've taken photo wit you..feel free to grab it! 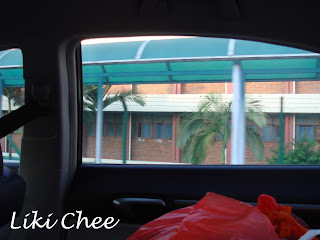 and I started my camera action in Chin Ming's car..on da way to skl..
Lee Young and James..been sitting bhind me for 2 years..
and my class early in the morning..
sun is shining on Boon Wei like ghost..
the one and only BOBO..
Hui Yee..a vry sweet girl in my class.. 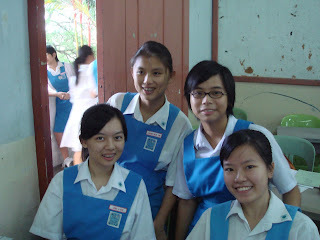 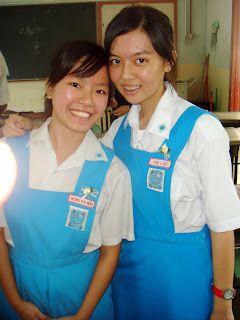 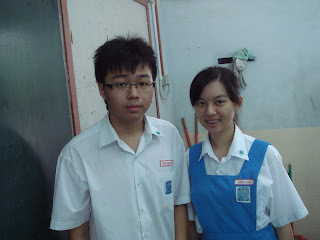 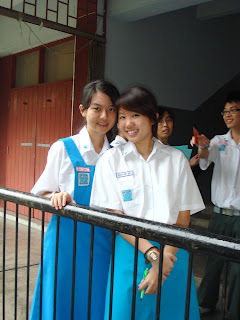 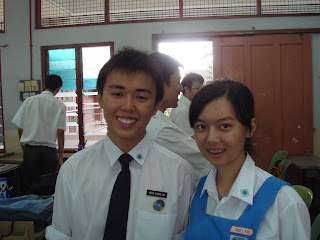 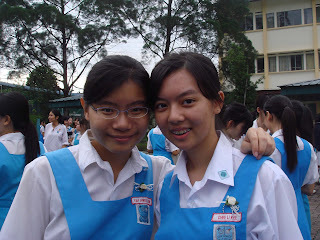 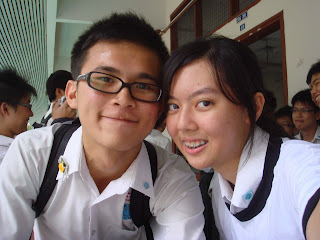 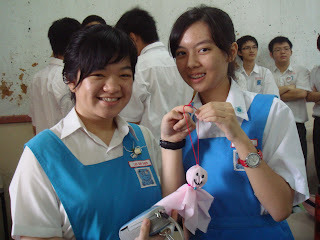 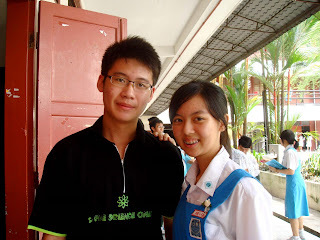 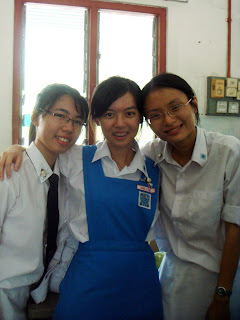 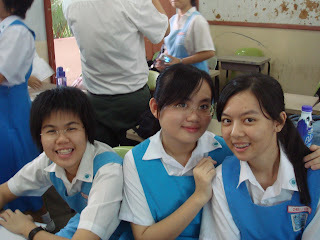 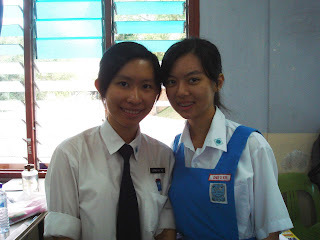 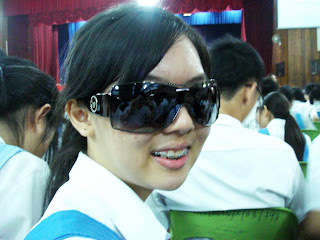 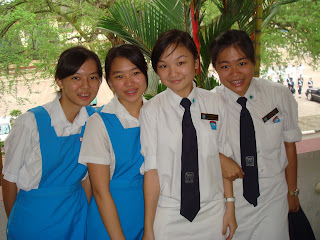 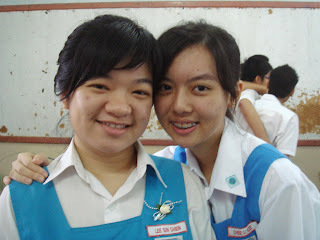 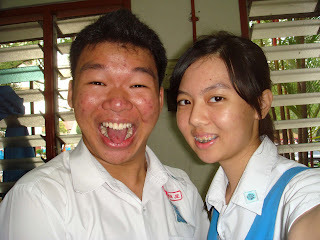 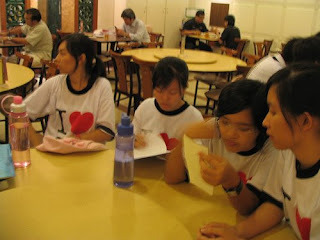 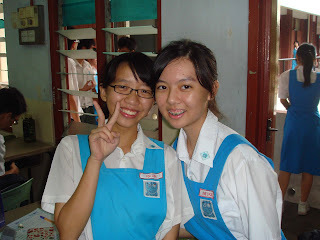 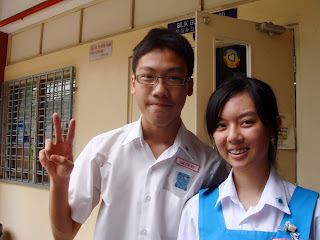 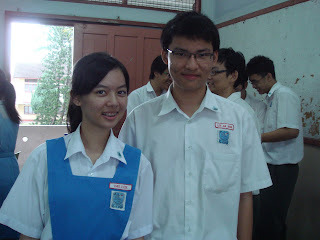 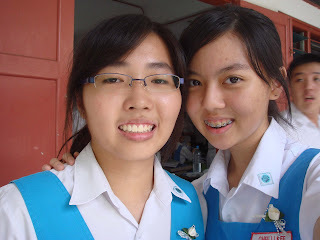 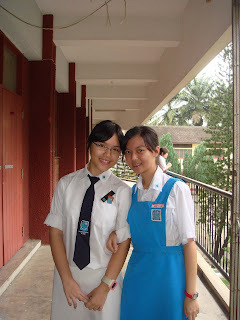 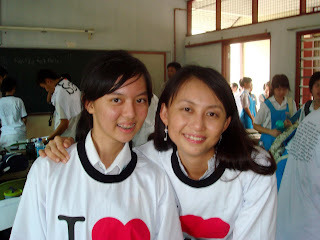 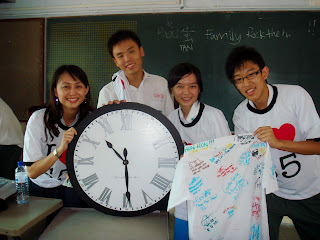 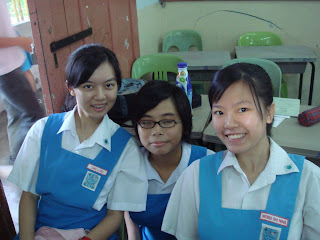 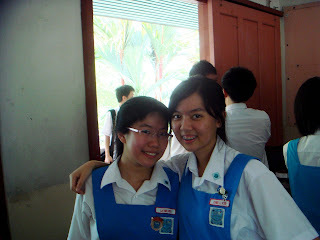 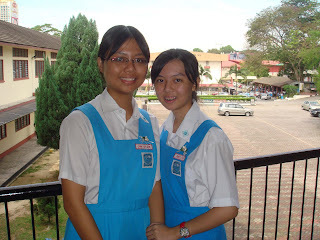 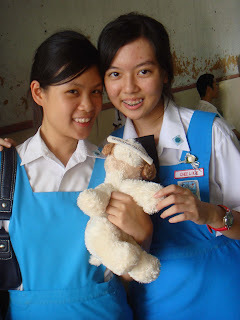 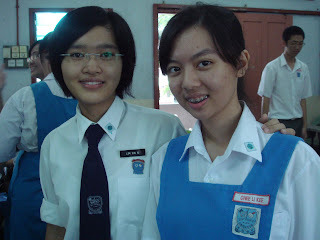 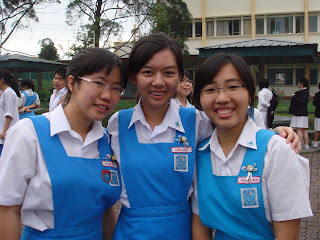 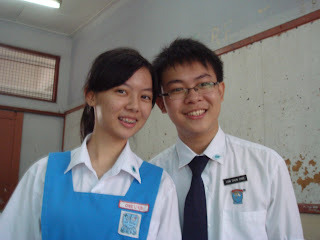 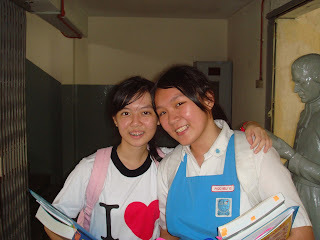 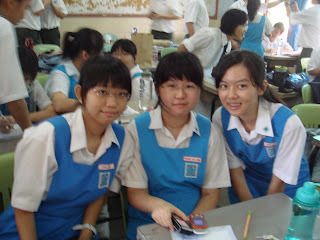 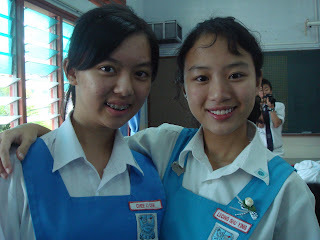 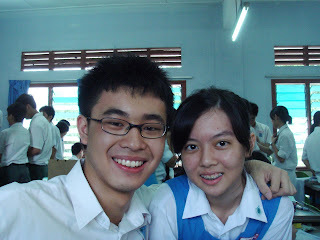 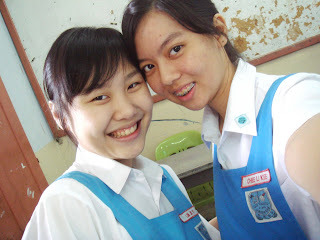 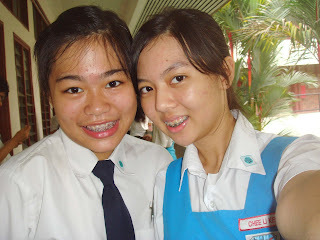 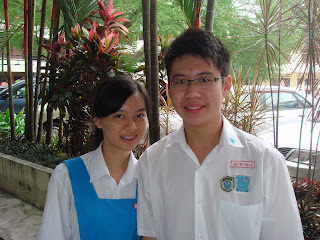 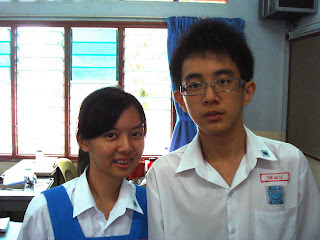 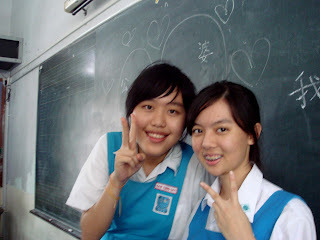 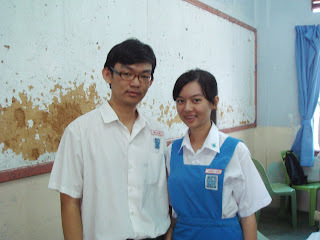 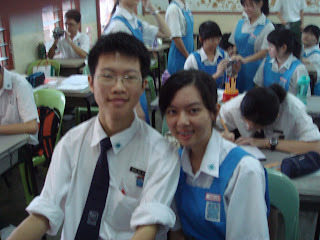 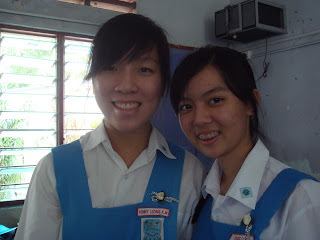 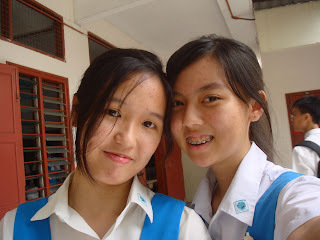 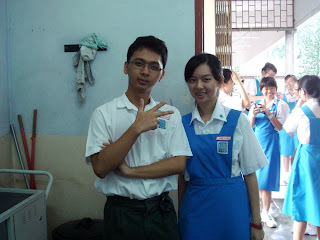 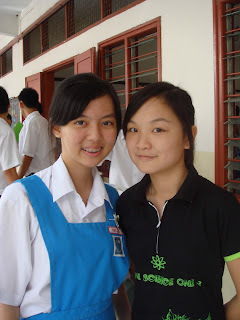 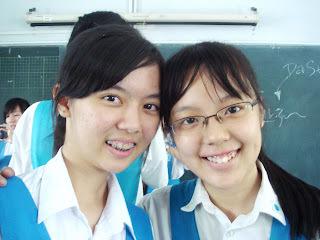 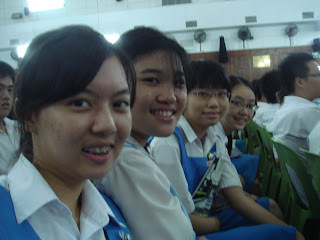 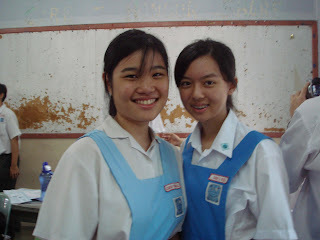 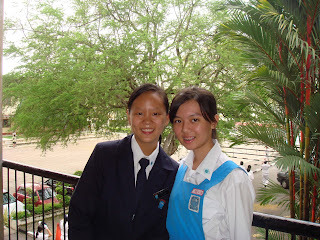 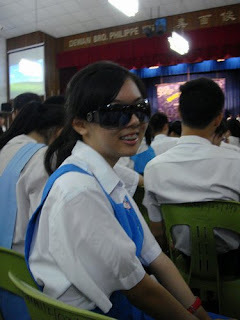 Elizabeth..I thnk she's da 1st girl I talked to when I entered S5..
Shu Ying..they called her tiger..
Jia Jian - the quiet one..
Ping Hoong and Yuen Wern..top student in my class! 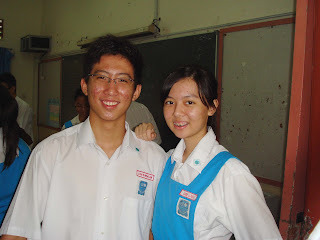 Yi Mei and Joo Anne..Didn't reli talk 2 them..they're quiet =/..
a vry friendly and funny guy - Eng Yuan..
he was shocked tt I have a bro..and he knows him thru Dota..Boon Wei..
she's so sweet 2 make sumthing for us..
Ian Beh - funny and smart..
look at the colour difference! 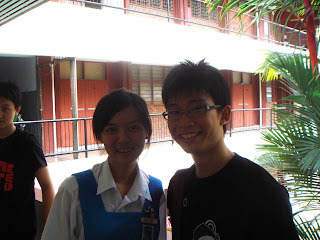 !Jie Yi is super duper fair..smart too! 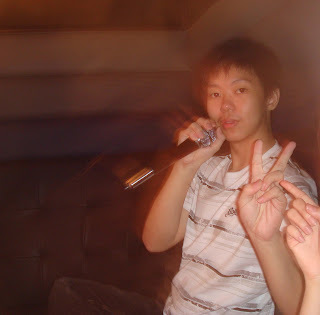 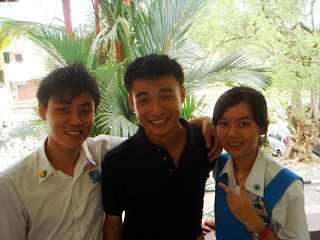 Yu Fai..he's oso x frm my class..knew each othr thru Chs Idol..
oooo yes..my class 08' monitor..yellow house captain..potential leader,Jay Wvin! 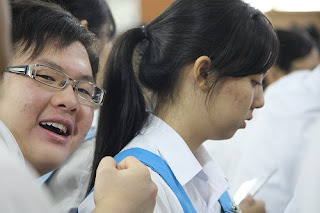 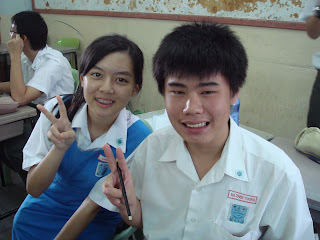 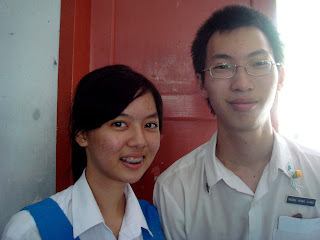 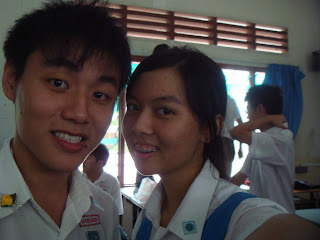 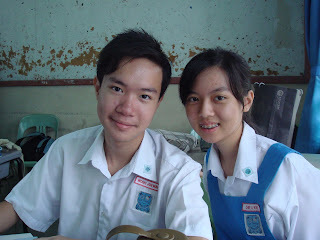 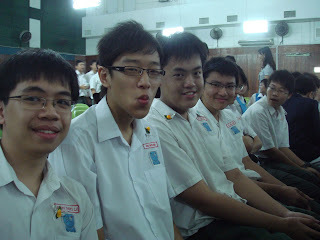 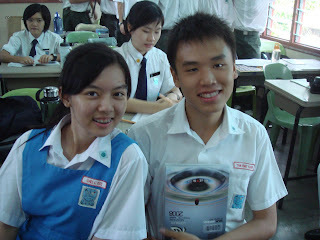 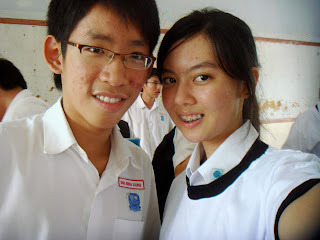 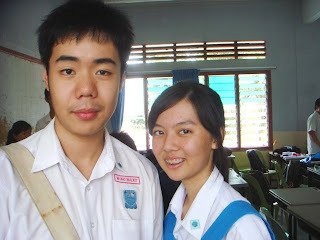 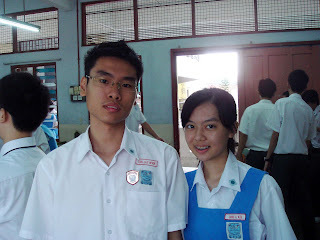 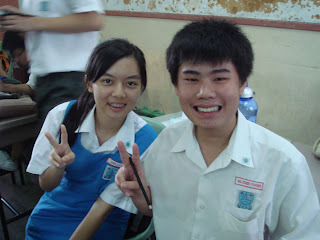 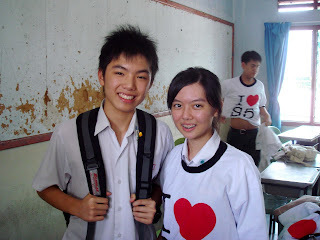 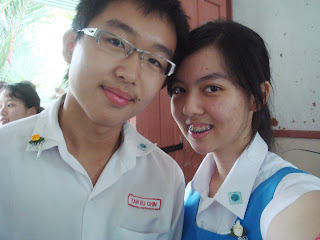 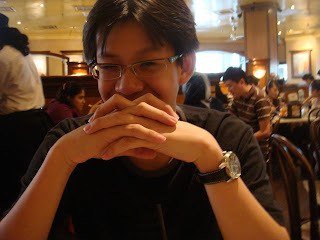 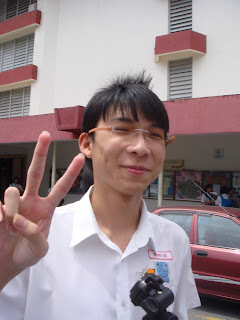 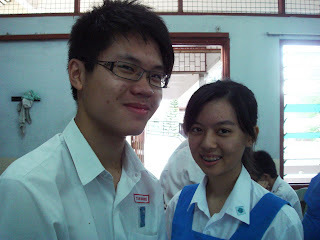 Derrick..sat in front of me for 2 years..
Chan Yip..I couldn't differentiate him wit Joseph..LOL! 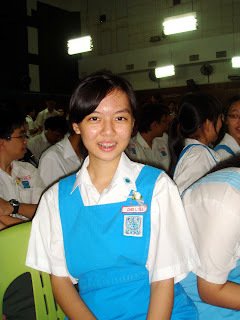 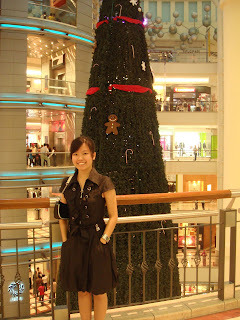 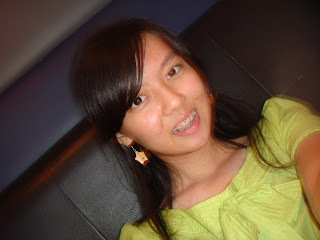 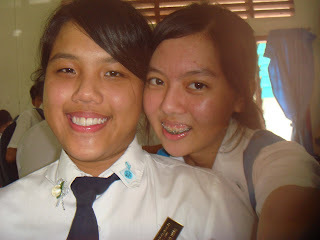 Yen Hsian..sweet and pretty..she's form6..
Kheng Aik..our skl 'olahragawan' and a swimmer! 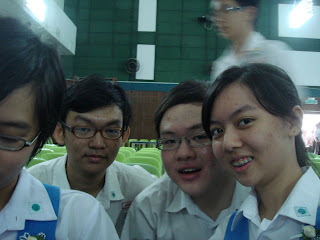 I enjoy the moment of grabbing Chs Idol Champion for Group Category together..Kah Yan! 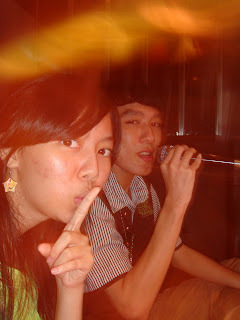 singer?dancer?you name it! 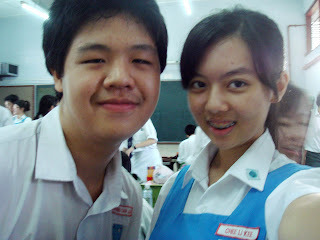 He's Benedict.. 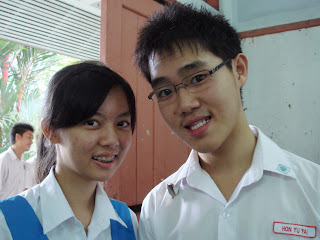 I miss sitting bside Calvin too..he'll give me present whenever! 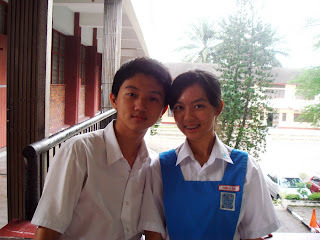 Kenny Roland..jus knew him thru CJ.. 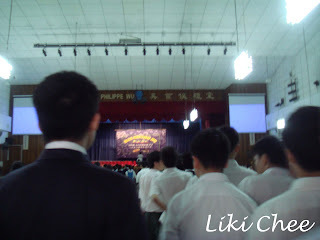 Zhini..I always heard Wei Ji talked abt her last time..haha..
look..evry1 is lining up 2 enter the hall..
Mei Wei and Chee Mun..both so little and cute! 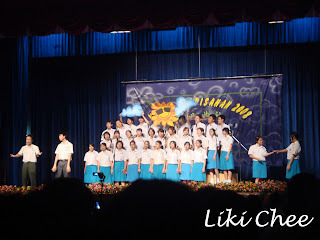 Meu Ye..we oso knew each othr thru choir..
look at the banner..it's Purple! 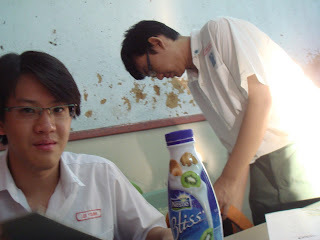 Ok..I didn't noe I have dis photo..wat's wit Jason? 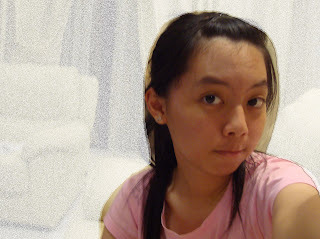 RAWR..and wat I'm doin? 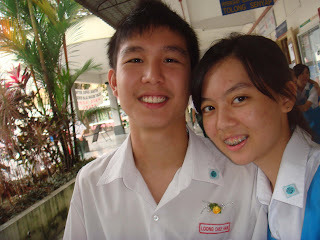 Mun Hon..also a vry funny guy..damn hardworking..
ready to take our leaving cert..
me receiving my leaving cert.. 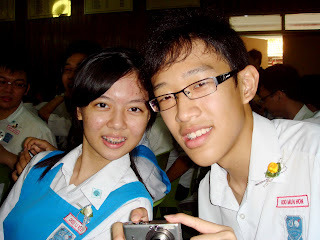 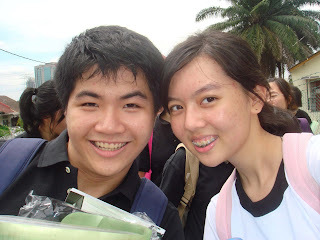 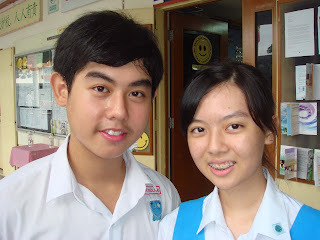 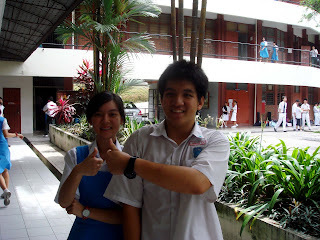 I'm gonna miss da skl..
Wei Lon..I also noe him thru Choir..hehe..
Seng Tzer..scout president..damn cute wan.. 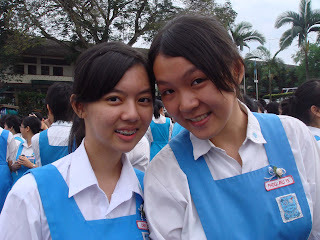 Rebecca..I won't mistaken u as Rachel anymore >.< Chee Mun..nice girl..smart..
Hong Liang..can't wait to go NS..
Yeong Chyi..super super tall..haha..but she's vry cute..
Leon..STUPID act..STUPID look..funny and silly..
Calvin agn..look at his innocence smile..awwww..
Kai Jie..ooopss!Chun Hui changing bhind..
Keenen,why ur face so blur and cute wan?..Liki..Zhen Yoong..
must take pic in toilet!! 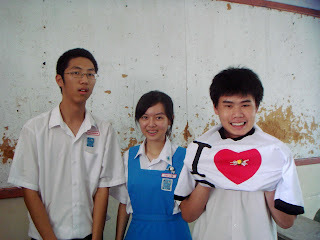 Meu Ye..oh LOL..I'm already sweating..
the thcr tt chose me 2 represent Red House..
Rong Hui and Liki and OH MY GOD..Zhen Ting looks like hamsup lou bhind!! 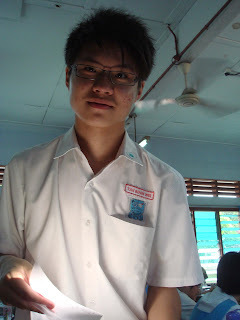 Chin Ming..I'm sure he'll make u speechless.. 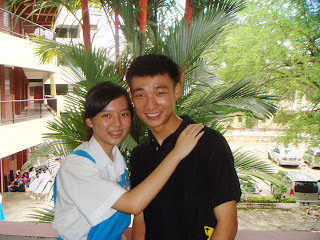 In case you guys wondering..I did not cry leh! 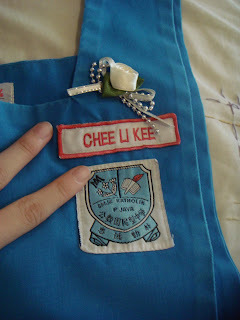 !long and tired day..
*puff*...lastly..say bye bye to my uniform..